Having powerful apps on your phone provides you flexibility to work and perform your last minute edits on the go. If you are looking for some useful and free cad apps for your android phone, then this article has been prepared just for you. These cad for android apps are legitimate apps listed on the official Google Play Store. Hence, you can download these apps for free and use them for your last minute edit, viewing your designs, Measure, Dimension etc. The first in this list of cad for android is DWG FastView. According to the developers, this is the cross-platform CAD app that meets all the demand of the designers. As a result of which this is currently used by more than 25 million users around the globe. You would be able to perform all the tasks just like your autocad software on your PC. There are options to create, edit and view all the drawings made. This app also lets you save or synchronize your drawings on the cloud platform provided. Hence, you would be able to access the latest version from anywhere, just by having access to the internet. Another nice app when it comes to autocad for android is AutoCad app by Autodesk INC. It is accurate, fast and reliable app for all your cad drawings. You can easily perform all your normal drawing tasks using this app on your android phone. Some of the awesome functionality includes external references (xrefs), layers, and image underlays etc. The best part about this app is the offline work mode. You have the option to perform all the tasks when offline and once you are online, you can easily sync and save your work. 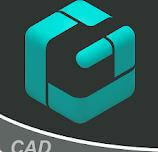 This is free to download and use cad app for android devices. This app also enables sync feature between desktop, web browser, and mobile device. For all the professionals like architecture, engineering, real estate, home design, this is the perfect app that can solve all the problems of designers. This provides flexibility and power to measure, draw and view your work on-site and sync to other applications at the same time. It supports all the DWG upto AutoCAD™ 2013. With all the basic options like ruler, move, rotate, scale, trim, delete, mirror, offset, group, explode, grips, it provides flexibility to edit your designs on your android devices. It also supports customizable library, info tool to query length/perimeter/area, layers, black or white background. Hence, this is a complete solution to CAD drawings on your android device. One more great addition to this list of CAD for android is, CAD Pockets. The developers of this app is ZWCAD Software. This app supports DWG/DXF/DWF file format for the drawings. With options of exporting in the file format of PDF/DWF/JPG, makes this app even more useful and flexible for the designers. It also provides options for object snap, polar track, grip editing, magnifier, coordinate query, real-time dimensions. With the 3D view and text search with drawing, CAD Pockets is one of the better CAD apps for your android devices. You also can integrate this with the popular third party cloud storage providers to store your data. If you have a very large drawing this you are not able to open with any other app, you can try this app. As a result of which you will be able to view and edit the large drawing file using this app. This also has the offline usage enabled with the free version. Hence, you can feel at ease when there is no network connectivity. It also supports both, 2D and 3D drawings. You also would be able to see the drawings from the external sources. Options to open the drawing from the memory card location of any cloud service is also present. With layout and view ports along with the layer settings, everything is included in this awesome app of CAD drawings. If you are into 2D drawing stuff, then biiCADo is just the app you are looking for. Using this app can easily enable you in getting fast and efficient creation of technical drawings in DXF format. It also supports all the basic functionality on 2D drawings. Hence this is pretty much basic stuff as compared to the other apps listed above. But is you are looking for something basic, clean , fast with easy to use options, then this is the app for you. Some of the supported geometry elements include point, line, X-ray, poly line, rectangle, polygon, donut, array etc. Chamfer and Fillet also are included which makes it a stand out app. Along with ortho mode, grid view, grid snap, magnifier is also a part of the inventory.